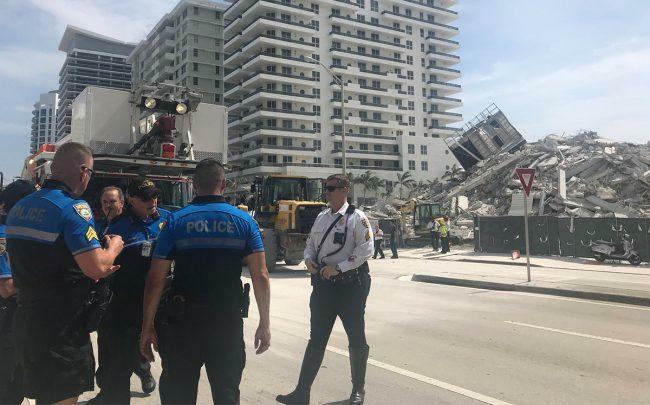 The family of a project manager who was killed after a Miami Beach building unexpectedly collapsed last year is suing the developer and construction team behind the demolition, citing a wrongful death. Judith Anne Landis filed a lawsuit Monday against AlliedBean Demolition, Alan Wackes, Miami Beach Associates LLC, AA Demolition Management, Safety & Risk Solutions, and MREAM LLC, the latter of which is Multiplan Real Estate Management, the developer of the project. The lawsuit, linked to the death of her son Samuel Tyrone Landis, alleges that AlliedBean hired AA Demolition Management to perform an illegal implosion of the building by pulling out the support structures on the first floor. Judith Landis is seeking to recover from the three companies and others, including AlliedBean president Kevin Bean, the costs of her son’s medical care, funeral and burial expenses, income lost from his death, mental anguish and other damages. The suit comes as Multiplan, led by Brazilian billionaire Jose Isaac Peres, prepares to break ground on 57 Ocean, an 18-story, 81-unit luxury condo development, on Thursday. In a statement, Marcelo Kingston, managing partner of Multiplan, called the accident “a terrible tragedy,” and directed questions to the general contractor, Winmar Construction. According to the suit, Winmar and the developer first applied for an implosion permit of the former Marlborough House, a 12-story building at 5775 Collins Avenue, in August of 2017, which was denied. They reapplied for a conventional demolition permit in November and received the permit in May. They performed interior demolition and a conventional demolition by subcontractor AlliedBean Demolition Contractors was planned, until the building unexpectedly collapsed. Landis, a project manager for AlliedBean, was hit by flying debris, and later died from his injuries. Luis Leon, president and co-owner of Winmar, did not immediately respond to comment. Bean said he had not been served with the lawsuit and declined to comment. The lawsuit also alleges that AlliedBean encouraged spectators to attend its demolition projects, using the catchphrase “Watch it come down” on its job sites. Landis’ mother has sustained “financial and pecuniary loss as a result … [and] suffered mental anguish and emotional loss and such other damages as are recoverable under the Florida Wrongful Death Act,” the suit alleges. “My client is seeking an amount of money that will fairly and adequately compensate her for the tragedy of her son,” said Landis’ attorney, Steven H. Osber, a senior partner at Conrad & Scherer in Fort Lauderdale.